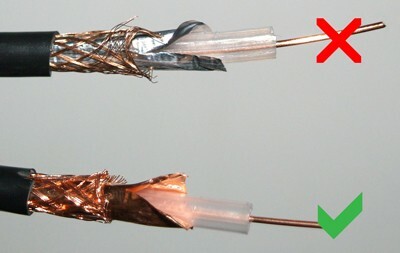 Electrical and fire safety: As coax cables connect to TV’s and appliances that have no earth connection on their AC mains plug, fault current of up to 90amps must be carried on the outer shield of the coax to enable triggering of the MCB, should an appliance fail to the chassis. RG6, unmarked cables and cables branded or sold as ‘satellite coax’ are NOT SUITABLE for this and must no longer be used. Signal loss: All coax is by definition, ‘low loss’ but this term gives no details and is very misleading. Unpoliced cables are not only too high loss per meter for modern signals, they have no data sheets detailing the loss per meter at a number of given frequencies. Worst case scenario is rewiring the entire project to make the TV’s and set top boxes work. No cables with copper coated steel inner cores and/or steel or alloy shielding are suitable. Only ‘all copper’ construction should be used. So what are the correct cables? Electrical suppliers in West Wales do not currently carry approved cables, which sadly sustains the constant installation of inferior cables, sold with the assurance that they are ‘satellite coax’. The CAI can put you in touch with suppliers as close as Cardiff that can supply direct. As TV and Internet-TV become increasingly linked, it’s imperative that this is catered for. Whilst some TV’s are WiFi enabled, many are not and most Set Top Boxes (STB) are not, so hard wired data points are increasingly important. Data cable quality: Cat5 / Cat6 / CCS / CCA ??? This one is a little simpler. Copper Coated Steel (CCS) and Copper Coated Aluminium (CCA) are simply not up to the job for wired networks. Similar to coax, the quality of the cable denotes the loss per meter. Only cables of ‘all copper’ construction are suitable. 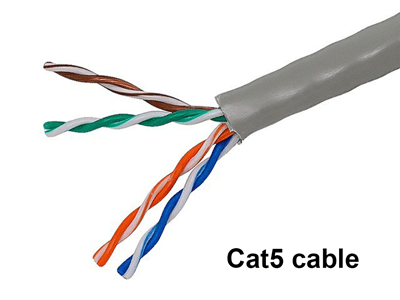 ‘All Copper’ Cat5 and Cat6 are both sufficient for domestic installations of up to 100mtr runs. To cover many bases, we strongly recommend all projects have two CAI Type 100 approved coax and two Cat5/6 data cables at each and every outlet. These cables must be star wired back to a central hub and none can be ‘daisy chained’ or wired in series. As most systems will now need more ‘active’ equipment at the hub, this should no longer be based in loft areas. A suitable area should be agreed between the electrical and TV/data contractor. And most important and often forgotten, this hub MUST have feeds taken to it from the antenna locations and the incoming telephone landline or alternative internet source. We’re more than happy to offer advice for your project and help source the correct cables. Working with your architects, M&E engineers, electricians and developers, we recommend organising your TV and data system at the very earliest stage along with other main services. If you have a project you’d like to discuss, contact us for an informal chat to start the ball rolling. 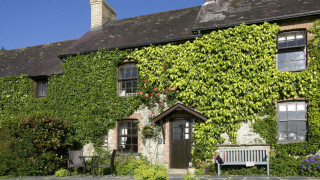 Point Farm is a secluded campsite with stunning views over Dale Bay in Pembrokeshire. 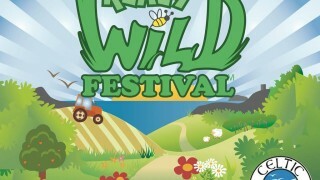 The owners took on the brave challenge of developing the campsite and guest facilities alongside building their own home. 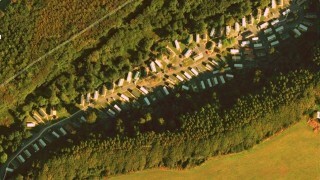 The completed family property and adjacent office now sits within the grounds of Point Farm Campsite. I have had the pleasure of working with and recommending 1A Aerials on various projects, mostly on Retreats Group sites including Roch Castle and Penrhiw Priory which are both 5 star properties. The Proprietor Dave Cooper has a vast amount of technical knowledge and experience which he is able to impart to anybody from tech experts to those with minimal understanding. His work is very professional, reliable and clean and always to a high standard.